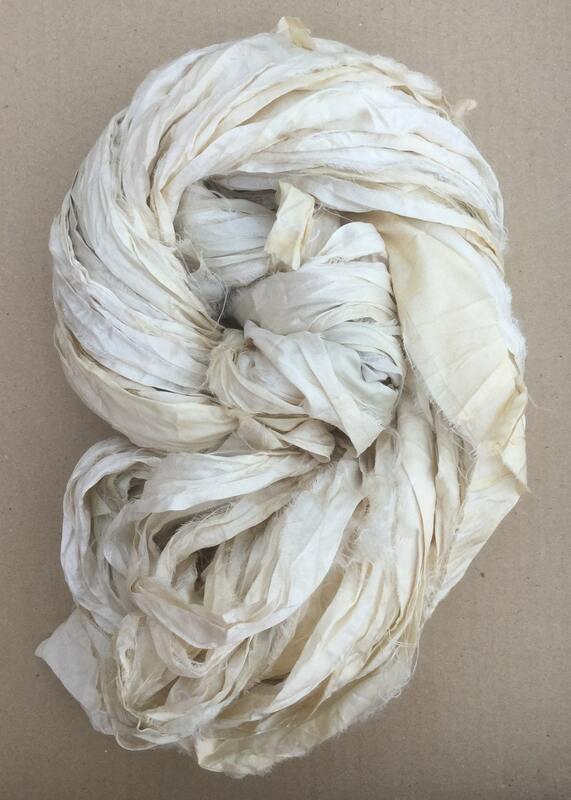 This listing is for 1 x 100g hank of Silk Sari Ribbon. Each recycled skein a unique Ribbon Yarn made from waste silk. 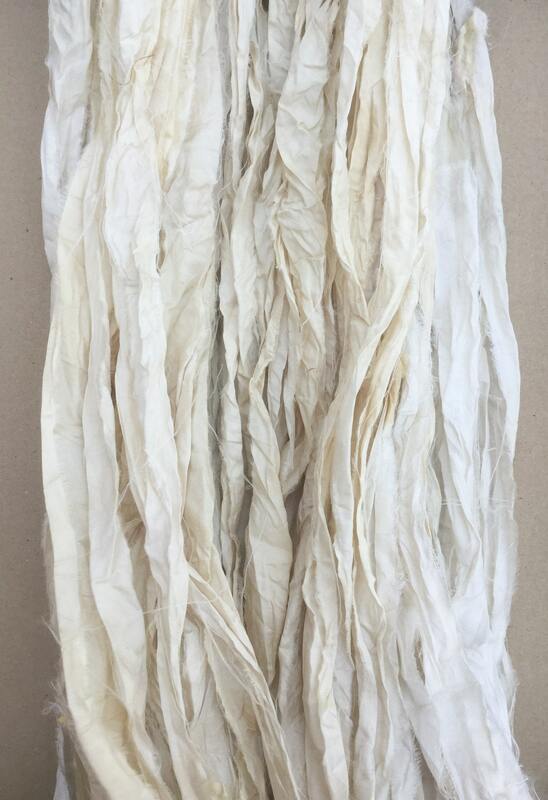 Sari silk ribbon is a unique and inspirational ethically produced art yarn. It is a biproduct of Silk Sari manufacturing in India and has a beautiful rich quality. They are handmade by womens' co-operatives in rural India from silk that would otherwise have been destroyed and sent to landfill. 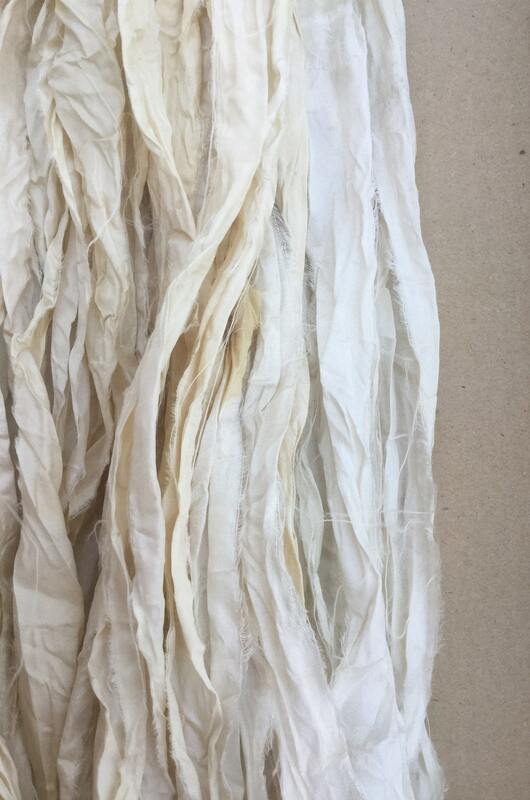 The waste silk fabric is torn by hand and then sewn end to end to produce one continuous length, resulting in a beautiful ribbon yarn.